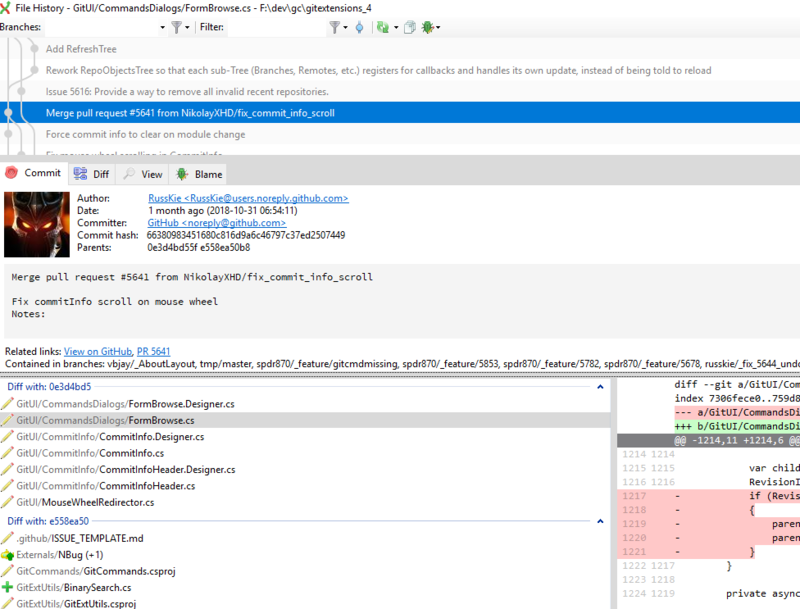 The Commit tab contains the information about the commit, including the other files in the commit. 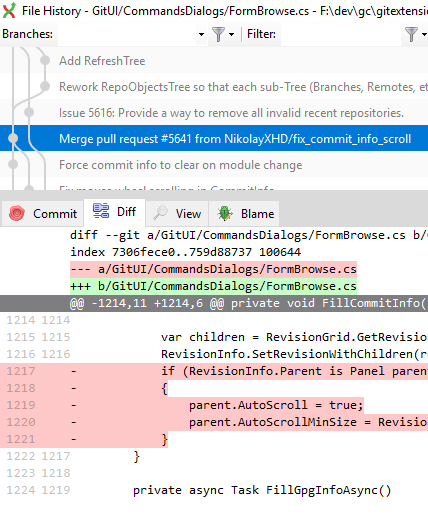 You can view the difference report from the commit in the Diff tab. Added lines are marked with a +, removed lines are marked with a –. 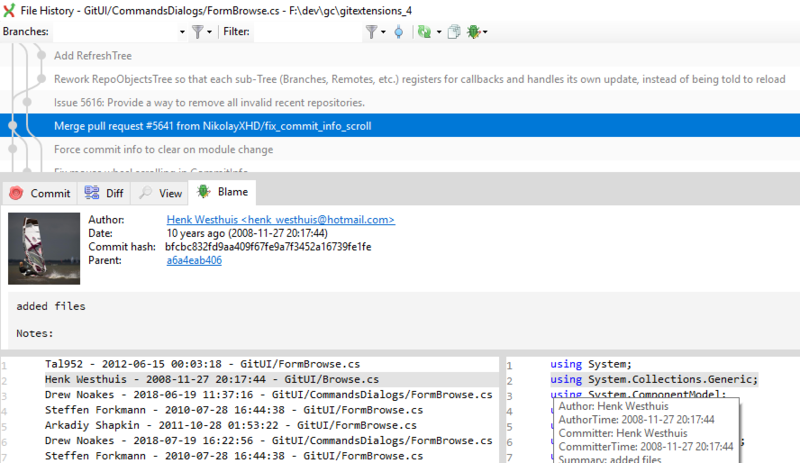 You can view the content of the file in after each commit in the View tab. 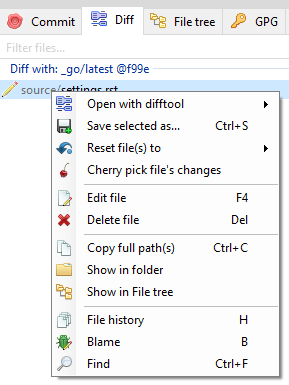 There is a blame function in the file history browser. The commit for the selected line is displayed. 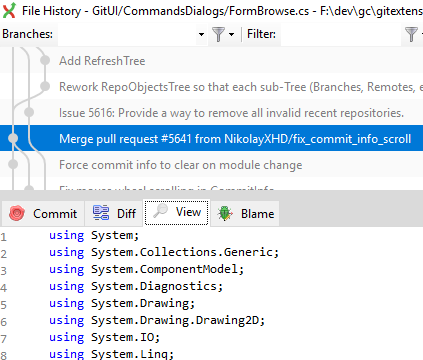 Double clicking on a code line shows the full commit introducing the change.